There are many ways to control linear actuators. One of the most popular is via a DPDT (double pole, double throw) switch. These switches are available as a latching or momentary switch. Actuonix also offers a lighted push-button switch. The wiring for these is essentially the same no matter which one you choose. All of our switch kits come with a switch, wire, fuse and connectors. You'll get everything you need to get your actuator wired up quickly. Below is a diagram showing you exactly how to wire up your actuator to a DPDT rocker switch. If you choose to use our lighted push-button switch rather than the rocker, the wiring is almost exactly the same. The terminals have different designations and the switch is round rather than recrangular. I have included the diagram for wiring the push button below. Below is a brief video demonstrating actuator operation via a DPDT rocker switch. If you have any questions regarding our products, need technical support or just want a hand choosing the best actuator for your project, don't hesitate to give our customer support team a call anytime. We would be glad to assist you. Though we carry more micro-linear motion products than anybody, there are times when our customers have a stroke-length requirement that we cant fill with an off the shelf product. We do not offer linear actuators with adjustable limit switches, but there are plenty of ways to get the stroke you need. There are some linear actuators with adjustable end-limit switches, most are non-adjustable. I'm going to walk through what you can do to get the custom stroke linear actuator that you need. There are three ways to adjust the stroke of a linear actuator. Before you get started with a custom linear motion system, consider whether it might be easier to modify your project. Sometimes simply adjusting a mounting point could net you the same result as any of the below solutions. If you're sure that you need linear actuator with adjustable limit switches, keep reading. There are many different types of linear actuators. The simplest of these (such as our S series) have internal end-limit switches. These switches simply stop the actuator by cutting off the power when it reaches it's end of stroke when retracting or extending. There are both adjustable and non-adjustable limit switches, with the non-adjustable type being far more common. If an actuator does not have end-limit switches, or another means to shut down power at the end of it's stroke, damage to actuator is certain to occur as it will keep trying to drive until it burns out the motor or causes some other physical damage to the device. Stall protection is a feature found on Actuonix "R" and "I" series micro linear actuators, as well as "P" series when used with our Linear Actuator Control Board. This gives you similar functionality to an actuator with adjustable end limit switches. The difference is that while end limit switches are a physical stopping point, stall protection is a safety feature that kicks in when the motor 'stalls' or meets a certain amount of resistance. If you need a linear actuator with a custom stroke length, you have options. You don't necessarily need a linear actuator with adjustable limit switches. Below are 5 options to get the custom stroke you need. 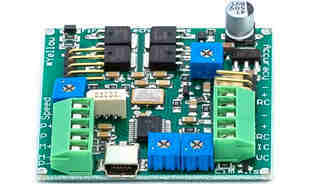 Using a "P" series actuator with an LAC board increases the functionality of the actuator. One of the features it offers is the ability to set custom end-limits on both ends of the stroke. It's as simple as turning two pots to the desired position and then disconnecting and reconnecting power to the board. The LAC board is not only simple to use, but it's affordable. When you buy a "P" series actuator, we offer the LAC board for 1/2 price, which is only $20. For most applications, this is going to be your best bet for setting a custom stroke length. Our "R" series linear servos, are a direct plug-and-play replacement for rotary hobby servos. If you're controlling your project via RC, you can set custom end of stroke limits in most modern radios. I use a Spektrum DX8 and it offers this functionality. An external limit switch kit is a small mechanical switch that will either make or break a connection when contacted by the actuator at a certain point. You to set custom end limits on an "S" or "P" series actuator. It's inexpensive and relatively easy to install. If you need help installing an end limit switch kit you can find the data sheet here. This might work well for you if your project is already using Arduino. It's more complicated than simple limit switches or even using an LAC board. I won't cover this in detail here as there are several ways to accomplish custom end-limits with Arduino and that's a whole article on it's own. For support using Arduino with micro linear actuators, I highly recommend signing up for the forums at Trossen Robotics. There are lots of great, helpful Arduino users over there. If you need a large quantity of actuators, it would be a big task to install limit switches on them all. We can help you out by building you a custom micro linear actuator with limit switches set to your specifications. This would require a quantity order of at least 500 units. If you need a lot of actuators for an OEM product than this is a great, cost effective way to get the custom stroke that you need. The point is that you have options. You don't necessarily need a linear actuator with adjustable limit switches to achieve your desired stroke. You can get the same result several different ways. The options listed above are the simplest and most cost-effective for most individuals and companies. If you have any questions about using a micro linear actuator with a custom stroke feel free to contact our sales department weekdays from 7:30am to 3:30pm. Robots have come a long way in the last few decades. The word robot used to conjure up images of the B-9 Robot from Lost In Space or R2D2 and C3PO from Star Wars. In the 1980s, we were introduced to the Terminator, one of the more modern ideas of what a robot should be. Linear actuators in robotics have helped advance the technology to something that looks a little more at-home in the 21st century. There are various definitions for what a robot is but it can be summed up like this: A robot is a machine that is capable of performing tasks either on it's own (autonomously) or controlled by an operator. Robots range from industrial devices that have no defined form such as robotic machines in manufacturing that perform various tasks. Some robots are more human-like. Though Terminator, Data from Star Trek and the robots from the movie I-Robot with Will Smith are fictional, they're not far off from what today's technology is capable of producing. There are tens of thousands of different types of robots in use today. Some are available for the public to purchase, some are industry-specific or developed by governments. Below I'm going to offer some examples of different industries that are using robots today and how linear actuators are not only assisting them, but making these machines possible. Prosthetics of decades past were clunky devices that had limited motion capabilities. In the last decade, prosthetics, particularily prosthetic hands, have come a long way towards being fully-functional. In some ways, strength for example, they can outperform biological hands. With help of 3D printing technology, they're also becoming much more affordable. The introduction of micro linear actuators has helped make this possible. Tiny actuators that can fit within a prosthetic hand have made it possible to not only drive the fingers directly, rather than with motors and cables, but offer incredible strength. This is why manufacturers around the world are choosing the best micro linear actuator for prosthetics, the Actuonix PQ12 for their products. The PQ12 can be found in robotic and prosthetic hands from leading manufacturers around the world including Open Bionics, YouBionic, noDNA and the Active Robots AR10 hand, which is an option for the popular Baxter Robot. These days, drones rule the skies. Available in a thousand different varieties from as many manufacturers, drones have exploded in popularity in the last decade. Used in many industries including military, photography, surveying, fire, search and rescue and many others, drones are here to stay. Drones have grown in functionality in recent years. Since Actuonix invented it, the affordable micro linear actuator has been used in drones for such accessories as camera gimbals, retractable landing gear, arms for grasping, picking up and dropping items, as well as other customizations. Now that it's possible to buy RC linear servos that are plug and play compatible, these devices are going to continue to rise in popularity against rotary servos. Our micro linear actuators are space-certified! 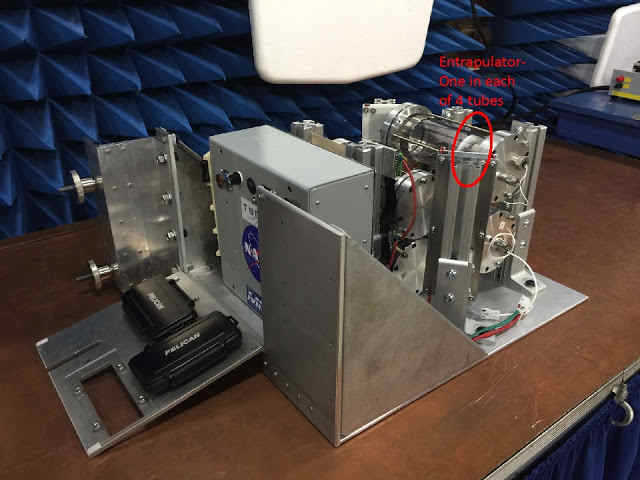 Affordable linear actuators in aerospace was laughable in decades past but I'm happy to tell you that our L12 actuators are circling your head on the International Space Station as you read this! This is just one way that these products have affected the aerospace industry. This is an area where we have limited intel in to how these products are being used as aerospace companies are usually on the cutting-edge of tech and often unwilling to tell us what they're building. Motion control in manufacturing is becoming more important as robots are doing many jobs that used to be performed by humans. The best jobs for robots are jobs that are repetitious, tedious, dangerous or require high-precision and consistency. Linear actuators in manufacturing are helping to streamline processes and keep product prices low. Autonomous robots are devices that can detect what's happening in their environment and adapt accordingly. Everybody remembers the iconic Roomba. When it was first released it caused a lot of excitement for the future of autonomous robots. It's ability to completely clean a floor without human assistance was a brand-new concept and it introduced the general public to the idea of autonomous robots. We're starting to notice that our products are regularly being used in animatronic displays. An art once dominated by the rotary servo, linear actuators in animatronics have simplified linear movements and allow builders to take their creations to new heights. For a cool demo of an animatronic Halloween costume, check out this automated Ironman mask. FIRST Robotics is helping hone the skills of young engineers and hobbyists all over the world. FIRST teams are building some incredibly cutting-edge robots and many of them choose our FRC legal micro linear servos to give their robots added functionality. Actuonix is proud to not only offer products that are FIRST competition legal, but we sponsor various FIRST robotics teams. A while back we had the pleasure of having our local FIRST team in the shop here to demonstrate their 2017 robot build. It has a shooter mechanism that uses our L16 actuators to pull against a spring, it them lets go and springs back shooting a ball outwards. 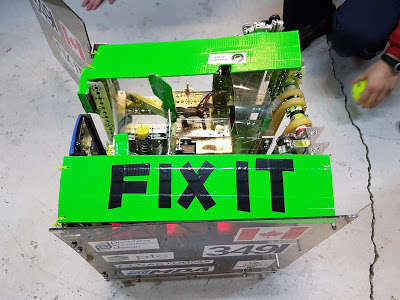 It's a great robot and we wish them luck this season. Having access to linear actuators in robotics projects and training is helping the next generation of engineers design products that we will all benefit from in the future. We're committed to supporting the education of young engineers and through college project sponsorship and our generous student discount have put our actuators into the hands of hundreds of students who would not otherwise have access to them. Many don't realize this, but there are dozens of clubs out there dedicated to building custom models ranging from the B-2 Lost In Space Robot through to R2D2 and more. 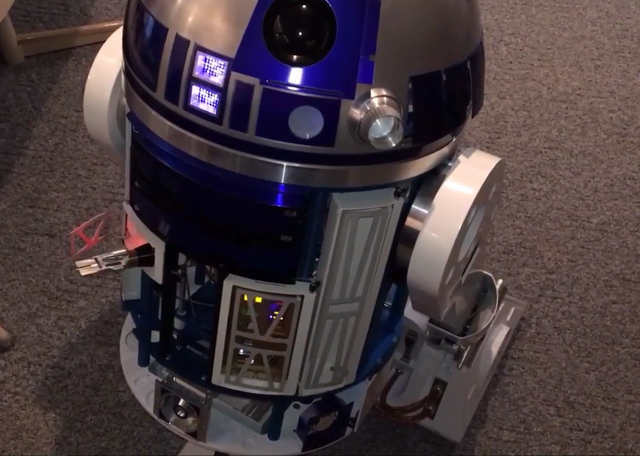 Iv'e recently had the pleasure of working with Doug, a world-class R2D2 builder, and his R2D2 model is nothing short of amazing. It's voice activated and fully-functional. Check out Doug's build on YouTube. Micro linear actuators for RC and custom models help builders like Doug bring their creations to new heights and offer new levels of functionality. 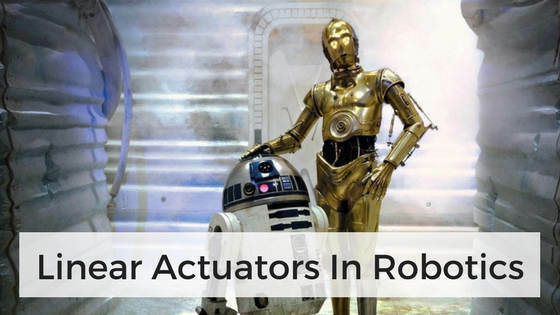 Linear actuators in robotics are helping drive many different industries. They offer movement possibilities that were not previously available with rotary servos or the expensive linear actuators of the past. These devices are helping drive the ever-evolving world of robotics, and we're glad to be on the forefront of this motion revolution. At Actuonix, we take pride in producing inexpensive linear actuators that are built to a high standard of quality. Our low-cost line of micro linear actuators is the result of years of product development and incremental improvement. Unlike some linear actuator companies, we don't buy our products from mass-manufacturers and re-brand them. We design every product from scratch, build and test prototypes and adjust our designs over and over to make sure that by the time our products reach the customer, they're going to get the job done. Actuators aren't an investment that you make at the drop of a hat. It takes time and effort to find affordable linear actuators that meet a high standard of quality and can stand the test of time. 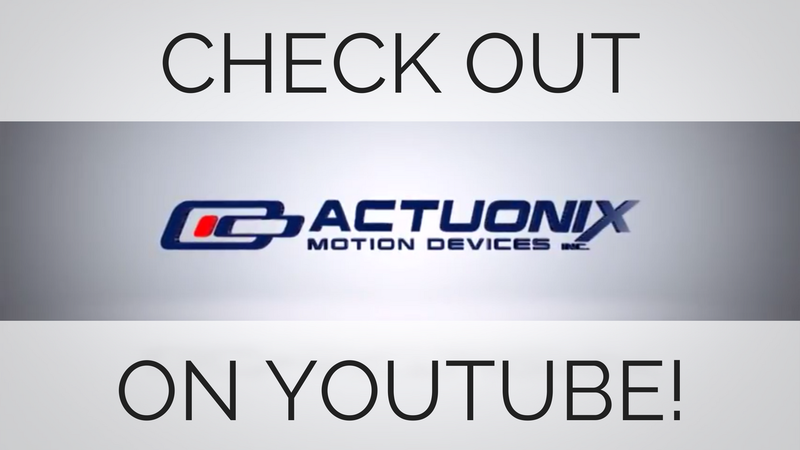 At Actuonix Motion Devices, every single actuator that we sell is thoroughly tested before leaving our facility. We do this so that we can maintain a high standard of product quality, while still producing the cheapest linear actuators on the market. If you want even more ways to save money on your next purchase of linear actuators, there are a few ideas listed below. Everybody knows that buying in bulk is one of the best ways to get a discount. Linear actuators are no exception. At Actuonix, we're proud to offer bulk pricing to customers that order our products in quantities of ten or more. If your business is in the market for actuators, consider amalgamating several product purchases into one. The more actuators that you buy per transaction, the greater discount we can offer you. We're also willing to work with you to further reduce your cost by bulk-packaging your actuators and/or not shipping you items that you may not use such as the mounting hardware kit that comes standard with all of our products. College and university students may be eligible for an educational discount on Actuonix products. This discount is available on orders that are shipped to an educational facility. Providing engineering students with affordable linear actuators is just one way that Actuonix is committed to giving back to the engineering community. Students in other programs maybe eligible for discounts as well. Did you know that Actuonix linear servos are FRC legal? You can use our devices in this year's robot build. And as a FIRST Robotics team, you're eligible for a discount on our products. You can contact Ian in sales for more information. Over the last 13 years in business, Actuonix has sponsored dozens of projects from all around the world. We sponsor a variety of projects including unique robotics, RC and Arduino builds. If you're interested in having your next project considered for sponsorship by Actuonix, check out this page for more info. Frankly, when it comes to cheap linear actuators, there's just not much out there. There are several companies selling products that they've bought wholesale from companies like Alibaba and re branded. You never know what you're going to get with that type of product, and neither does the seller, because they didn't build it. When you buy a low-cost micro linear actuator from Actuonix, you're getting a device that was imagined, designed, prototyped, tested and improved upon by our in-house team of engineers. In addition, you're getting a company with a decade-long track record of delivering affordable, quality actuators. Don't settle for less, install Actuonix in your next project. The Hargrove Adaptive Toy (HAT) project is an initiative by Hargrove Engineers to provide mobility to children who do not have access to a traditional powered wheelchair. Named for it's first recipient, Emma, the toy began it's life as an off the shelf power wheels car. 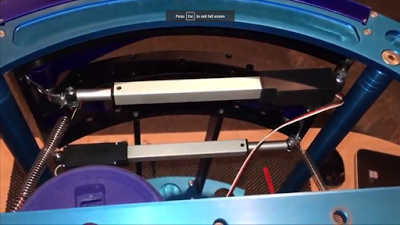 The team at Hargrove Engineers converted it to a powered adaptive toy with the help of sponsored products from several companies including an Actuonix Linear Actuator Control (LAC) board. The car features a custom seat and control joystick that's suited to Emma's abilities. As with motorized wheelchairs, adaptations can be made to suit the needs of each individual child. As you can see in the video below, Emma is thrilled with her new adaptive toy. We're happy to say that Hargrove has contacted us for continued sponsorship of the project, so we look forward to seeing more of these adaptive in the hands of deserving children.